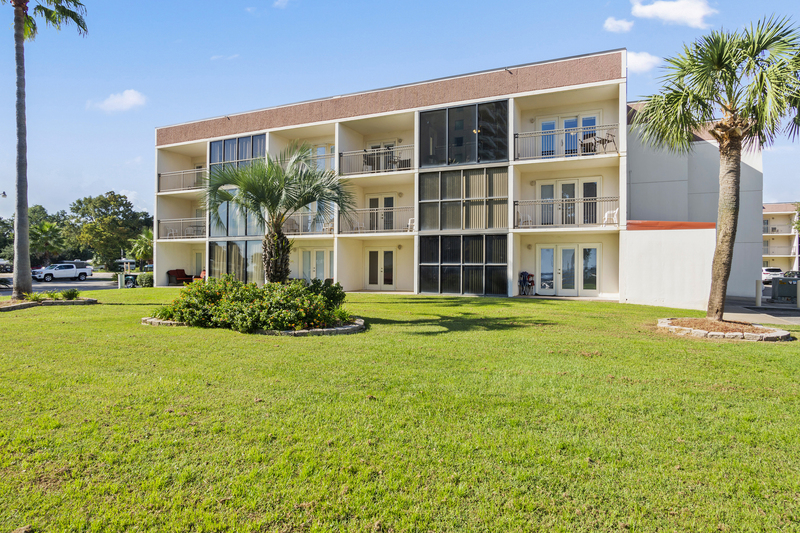 Rare opportunity to own a gulf view third floor condo in Biloxi. This two bedroom, two bathroom, split floor plan unit has updates galore including stainless appliances, quartz counter tops, and custom ''storefront like'' windows with amazing patio doors not found in most units. The adjoining and spacious living and dining rooms are perfect for entertaining. Enjoy the master suite balcony with gulf view and large soaker tub, separate shower, and double quartz topped vanity in the master bath. Second balcony has guest bed and living room entries, views of majestic oaks and the shimmering gulf waters. Walk to the beach and entertainment, or enjoy the pool or a round of tennis. All appliances to include washer/dryer remain. Air conditioner replaced approximately 3-years ago. Don't miss this one, Call 228.215.1861 to schedule your showing.